Smugglers Cove beach is a small sandy and secluded beach at the Western tip of Tortola. It is known for its tranquility and for the beauty of its sands. This beach is a lovely crescent of white sand with calm turquoise waters. A favourite with locals, Smugglers Cove is also popular for snorkeling; explore a world of sea fans, sponges, parrotfish, and elkhorn and brain corals. Sheltered and serene, Smuggler’s Cove is a hard-to-reach gem accessible by an unpaved, but passable road and you’ll discover warm, clear water, adventurous snorkeling and sea turtle sightings. A lovely mile-long stretch of white sand beach. The Western end of the beach offers greater solitude and great swimming. Joggers run along the water's edge, and spectacular sunsets make this spot perfect for romantic strolls. The Long Bay Beach Resort stands on the northeast side of the beach; many visitors like to book a table at the resort's restaurant overlooking the water. Just over the hill from Long Bay lays the surfer’s paradise of Apple Bay Beach. Surfers like Apple Bay, which is west of Cane Garden Bay along North Shore Road. The beach isn't very big, but that doesn't diminish activity when the surf's up. Conditions are best in January and February. After enjoying the white sands here, you can have a drink at the Bomba Surfside Shack, a classic beach bar at the water's edge. Known as one of Tortola's finest beaches, Cane Garden Bay is located on the aptly named Cane Garden Bay Road, directly west of Road Town. You'll have to navigate some roller-coaster hills to get there, but these fine white sands, with sheltering palm trees and gentle surf, are among the most popular in the B.V.I., and the lovely bay is many a yachter’s favourite. Outfitters here rent Hobie Cats, kayaks, and sailboards. Windsurfing is possible as well. There are seven places to eat along the beach, plus a handful of bars. East of Cane Garden Bay, Brewers Bay, accessible via the long, steep Brewers Bay Road, is ideal for snorkelers and surfers. This clean, white-sand beach is a great place to enjoy walks in the early morning or at sunset. Or just sip a rum punch from the beach bar and watch the world go by. Located on Tortola’s East End, Josiah’s Bay Beach is a sunbather’s paradise with its long, wide swath of powdery sand, beach bar, and nearby guest houses and restaurants. Surfers also covet this spot, when the waves reach their optimum peak in winter. One of the widest beaches on Tortola and a favoured picnic spot, Elizabeth Beach, also known as Lambert Bay, offers spectacular views, fine white sand, and sheltering palm groves. With its giant boulders that form a series of spectacular pools and grottoes, The Baths are one of the BVI's favourite attractions. The sandy beach itself is small and sprinkled with majestic rocks and has some trees for shade. There is also excellent snorkelling along the areas nearby underwater boulders and reef. Accessible by boat or by walking through the trails of The Baths, this National Park beach offers pure white sand sprinkled with large granite boulders, as well as deep blue Caribbean waters rich with marine life and coral for captivating diving and snorkelling. Savannah Bay Beach is a stunning sandy beach that is located along a thin neck of land that joins The Valley section of Virgin Gorda to North Sound. Savannah Bay is a beautiful long curving stretch of sand, perfect for relaxing on the beach, swimming and taking in spectacular sunsets. It is stunning to look down on from the road and because it is fairly sheltered, is good for both swimming and sunbathing. There's not much shelter from the sun though, so bring the sun block. Mahoe Bay beach is a pretty white sand beach at the Mango Bay Resort that has a gently curving stretch of sand and vivid blue water. Mahoe is one of the more quietly remote beaches of the BVI’s located north of Savannah Bay and boasts calm waters, gentle sandy curves and a variety of water activities. 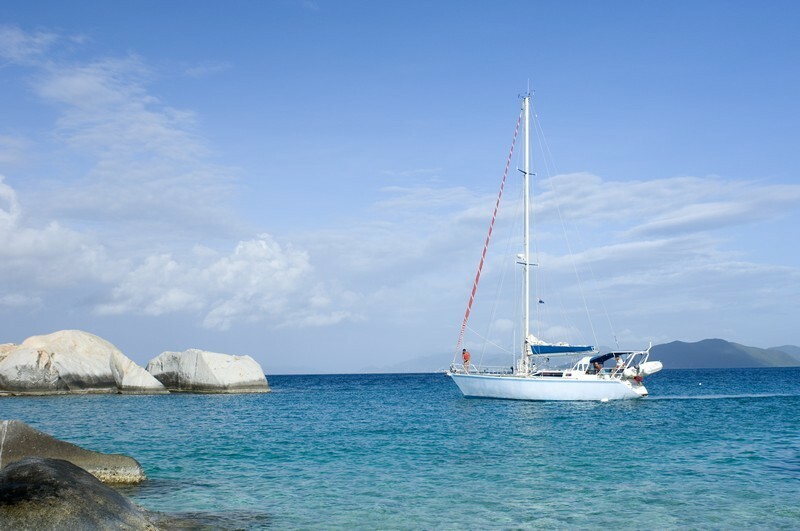 Nestled on a private peninsula on the eastern tip of Virgin Gorda sits the lush Oil Nut Bay. Its white sand beach faces dazzling turquoise waters with an average depth of only five feet. As the centre piece of the Oil Nut Bay Resort Community, the beach and extraordinary island landscape presents an unrivalled Caribbean sanctuary. A beautiful white sandy beach home to the 5 star Little Dix Bay Resort. A haven of tranquillity and luxury in harmony with nature, Rosewood Little Dix Bay is an exquisite, timeless resort – an unmatched Caribbean vacation getaway offering fine dining, an award-winning spa, luxury villas and beachfront rooms and suite. 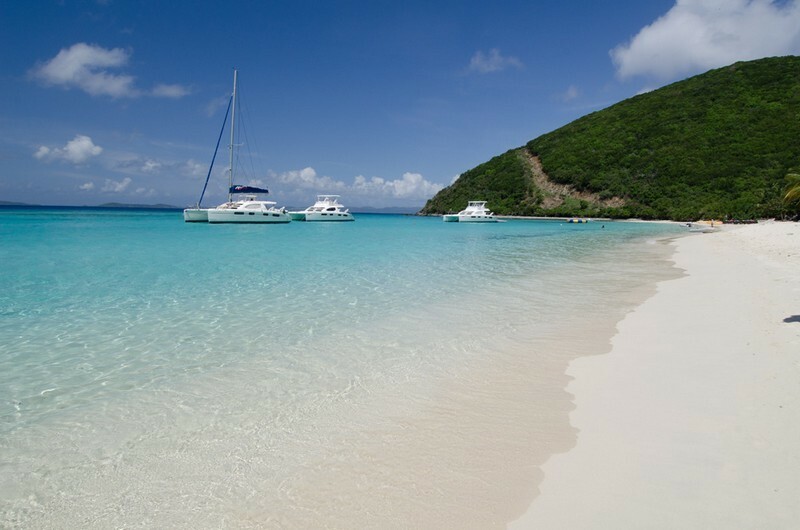 Cow Wreck beach is the perfect beach to relax while on Vacation in the BVI. The beach has miles of soft sand that stretchs out along the coast, and if you come across another soul, consider the beach busy. The waters offshore are protected by Horseshoe Reef, so snorkelling opportunities abound, but the real reason for coming here is the tranquillity that the beach offers its visitors. 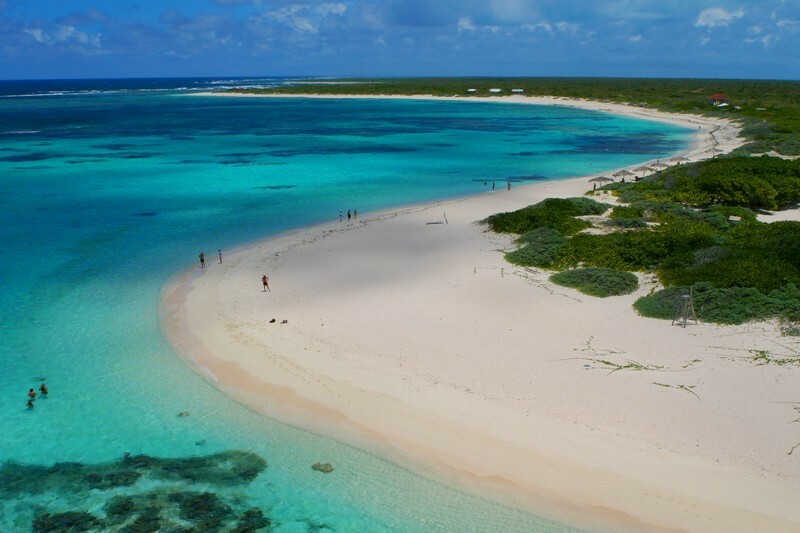 Anegada is renowned for its secluded bays and laid back lifestyle, and Bones Bight is a great example of that. Chances are you’ll have the beach to yourself, and can make the most of the flour-soft sand and tranquil snorkelling. With undoubtedly one of the best names in the Caribbean. The beach is a popular snorkelling and sunning spot. With miles of untouched sand, the beach has hammocks dotted along the bay and a couple of great daytime beach bars. Voted one of world’s top 10 beaches by Caribbean Travel & Life, White Bay Beach’s long stretch of white sand is protected by a great snorkelling reef and is dotted with award-winning beach bars. White Bay is the most easily reached by boat and has a beautiful sandy beach and a small hotel, beach bar and camp ground. With its white sandy horseshoe shape, the island’s arrival point offers a fabulous water sport facility and dinghy docks, as well as a host of casual Caribbean beach bars and restaurants. Little Harbour, or Garner Bay as it’s sometimes known, is just to the East of Great Harbour on Jost Van Dyke. There are three restaurants ashore which cater mainly to the needs of charter yachts. On the eastern shore you'll find, Abe's By The Sea, which has a great restaurant, a small grocery store and a car rental outlet. On the western shore, you'll find Little Harbour Marina where you can replenish your gas, diesel, water, ice and cold drinks if you are a sailor. This is also a great spot to dine in the evenings - as both Harris' Place or Sidney's Peace & Love Restaurant serve amazing fresh lobster. There are plenty of places on Necker Island to lie on the beach and enjoy the sun, sand and sea. Main beach is where most of the water activities are based, and where you will find the Tennis and Beach Pavilions where there are sun loungers to lie on. Turtle Beach is a more peaceful palm-fringed beach, with hammocks hanging between the trees, sun loungers to relax on, snorkeling equipment for floating around in the calmer water with the sea life, and an aqua-trampoline anchored to the sea floor. There are many other places where guests can find a peaceful spot to relax, and the more energetic can take a 2-hour walk around the island to view the native wildlife and plant life. A stunning palm fringed beach at the beautiful Peter Island Resort. A casually elegant British Virgin Island resort and spa hidden away on an 1,800-acre oasis of tranquillity. Legend has it that Deadman’s Beach was named after the pirates who were marooned on neighbouring Dead Chest Island and washed up on the shores. A mile-long crescent of perfect palm trees, pristine white sand and turquoise-blue waters, Deadman’s Beach is the island’s biggest beach, perfect for snorkelling, sunbathing or just relaxing. Deadman’s Beach Bar & Grill is just a coconut’s throw away. White Bay Beach on Peter Island is truly spectacular. The beach is great for snorkelling and ideal for a romantic picnic and a private swim. Facing Norman Island, rumoured to be the inspiration for Robert Louis Stevenson’s Treasure Island, and located opposite the resort, White Bay Beach is the most beautiful beach in the Caribbean.